Sambalpur: The dawn to dusk Bamra bandh demanding appointment of doctors at Gobindpur community health centre (CHC) in Sambalpur district, affected normal life in the town. Educational institution, banks and financial institution, shops, government and private offices remained closed for 12-hours in response to the bandh call given by the Swasthya Seva Samiti, Bamra. Public transport was also affected due to the bandh. “Out of sanctioned strength of five doctors, including four specialists, in the Gobindpur CHC here is running without doctors. The poor people here are being debarred of the availing the health service. We have several times brought the matter to the notice of the authorities,” said convener of Swasthya Seva Samiti, Rajendra Chhatria. The local leaders of all the political parities have extended support to the bandh. It is a genuine demand of the people of Bamra area. 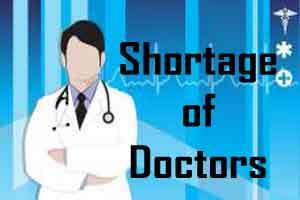 The pharmacists and the nurses are managing the situation at the Gobindpur CHC, he said adding that because of the absence of doctors, the people are now forced to go to Sambalpur for minor health problem. The agitators also locked the main gate of the CHC (community health centre) over their demand of appointment of doctor. However, later, they unlocked the main gate after sub-collector of Kuchinda, Chanchal Rana discussed with them and assured them that appropriate steps would be taken for the appointment of doctors at the hospital.